12 June 2018 – Mobilicom is pleased to announce a successful proof of concept (POC) field trial with the Czech police departments. In the field trial, Mobilicom’s MCU-30 and MCU-200 units were embedded into police vests and ground stations, allowing the system to demonstrate its ability to create a fully synchronised communication system that enables underground operations without the need for a GPS. The trial used Mobilicom’s recently launched Mobile MESH Network Solution for underground operations, addressing one of the key challenges of the police forces worldwide: operating a fully synchronised system inside buildings and underground without a GPS. The successful POC field trial in the Czech Republic demonstrated how security and rescue forces can effectively handle emergency events working inside buildings and underground using a light and compact unit in their vest. This is the second POC field trial Mobilicom has executed in the Czech Republic this year with Mobilicom Communication Units (MCUs). Mobilicom is now in negotiation with the system integrator for the Czech Republic police with a view to being engaged for a national deployment of MCUs. 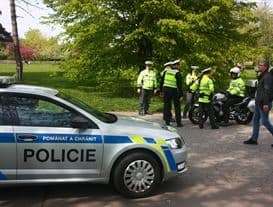 Mobilicom’s CEO Oren Elkayam said: “With a successful second POC field trial, Mobilicom is now in a good position to win a national deployment in the Czech Republic and offer the local police a private and secured 4G Mobile MESH Network for all operations and applications”.